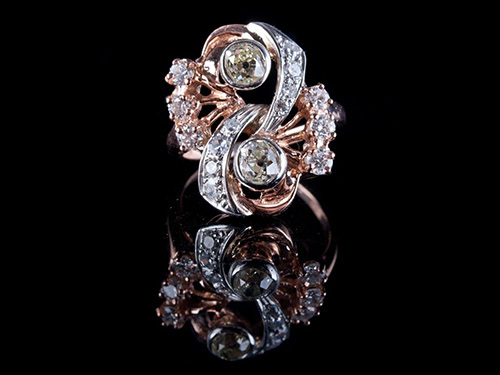 Lane Mitchell Jewelers specializes in historic jewelry from across the ages. Every piece of estate jewelry in our collection has been carefully selected and restored to its original historic condition. Although the stories may have been lost through the years, you will be wearing a piece of history. Shop our incredible selection of antique, vintage, and estate jewelry on Etsy. ANTIQUE jewelry is considered to be jewelry that is over 100 years old. This would encompass the Victorian, Edwardian and Art Nouveau periods. Each era is unique in the style and form of jewelry. VINTAGE jewelry is considered to be anything between 100 and 30 years old. This time period spans Art Deco, Retro, and Mid Century. 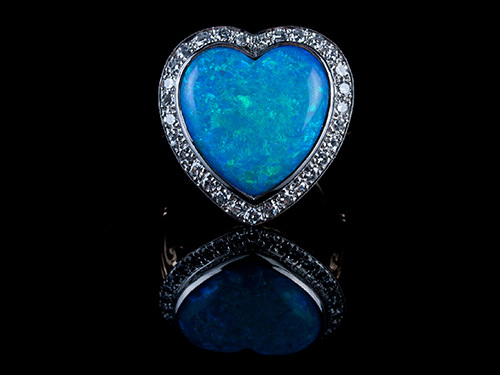 ESTATE jewelry is defined as any fine jewelry that has been bought from an estate or individual that has been previously loved and worn. (1837 – 1902) This is the time when Queen Victoria reigned. This is a very long period that is sometimes broken down into Early, Mid, and Late periods. 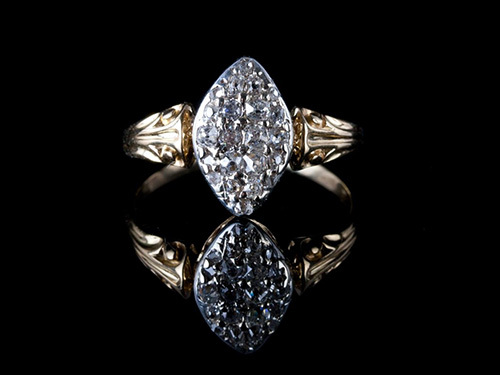 It is said that Queen Victoria loved diamonds which fueled their popularity. She was also a romantic and held great passion for her husband Albert. The early Victorian Era is also known as the Romantic Period. (1901-1914) Edward was Queen Victoria’s son, who took the throne in 1901. Jewelry from the Edwardian period is lacey looking and delicate. Platinum became the metal of choice and allowed jewelers to create delicate and lacy mountings, using a many diamonds as possible. This period was cut short by the beginning of WWI in 1914. (1915-1935) This was an era of decadence, wild abandon and the Roaring 20s. Times were good and people believed in the progress and economic growth of America. Women got the right to vote and the war was coming to an end and everyone was celebrating. 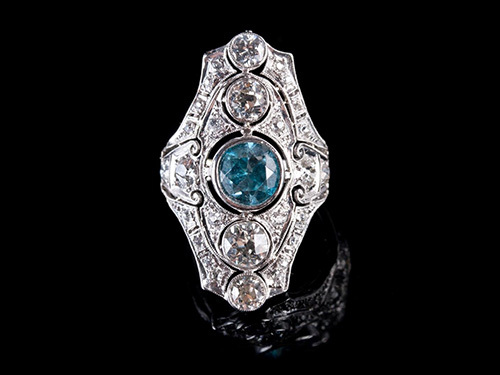 It was an era of opulence and abundance and people liked to show it with large rings and diamonds in geometric shapes! (1935-1950) During WWII, platinum was needed for the war, so yellow gold became popular during the time period. 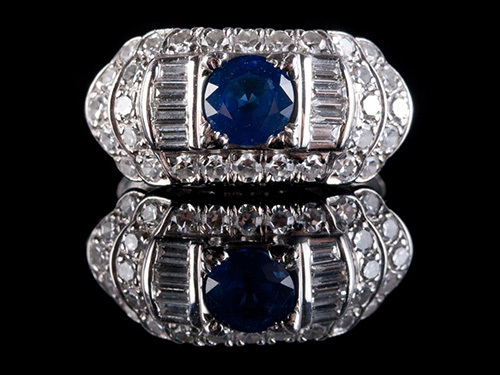 Less flashy jewelry with only one or two stones replace the opulence of the Art Deco Period. Many of these pieces from this time period were subsequently melted down during hard economic times and are not as abundant as pieces from the Art Deco Period.